The short version: private student loans are ideal for bridging the gap between what aid you’ve received and what’s left to pay for. They’re not a good first resort simply because their rates are higher than federal student loans at the moment, and certainly they’re much less appealing than scholarships and grants. 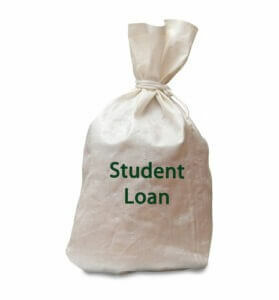 Private student loans come into play if you don’t qualify for federal financial aid, or the aid you get isn’t enough. Line up as many scholarships as you can, get as much grant aid as you can via the FAFSA, get your federal loans, and then get private loans. As always, please contact me with any feedback, either here, on the show, or on the phone.